City Manager - Cecil W. Rhambo, Jr. The City of Compton has hired Cecil W. Rhambo, Jr. as their next City Manager. Rhambo was hired in 2014 as Carson’s Assistant City Manager after retiring from a 31 year career with the Los Angeles County Sheriff’s Department and 38 years overall from the County of Los Angeles. Rhambo rose to the rank of Assistant Sheriff and, at one time, had overall command of approximately half of the 18,000 employees within the Department. He was responsible for Jail operations, the Gang Bureau, the Special Weapons Team, Homeland Security, the Los Angeles Community Colleges, and the massive Metro bus and rail lines. In early 2001, Rhambo commanded patrol personnel at the Compton Station and led a very successful reduction in crime and won over the trust and praise of the community through the implementation of a number of community policing practices. Rhambo’s top priorities are taking aggressive steps to get a balanced budget to the City Council on time, assess and prioritize the City’s crumbling infrastructure, assess personnel and equipment needs, and make policy and procedure recommendations to the Mayor and Council to ensure more accountability. Rhambo holds a Bachelor’s degree in Sociology from Humboldt State University, a Master’s degree in Organizational Leadership from Woodbury University, and has completed approximately one half of his Master’s in Public Administration from Long Beach State University. He resides in the Southbay with his daughter Rachel, 20 and son Cecil III, 16. He enjoys outdoor activities, jogging, swimming, and spending time with his kids. 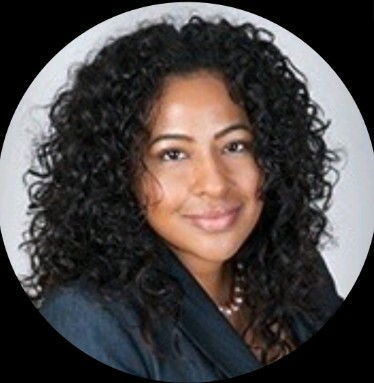 Mily C. Huntley joins the City of Compton after serving as legal counsel and litigator on behalf of public agencies such as cities, school districts and special districts for 14 years. Ms. Huntley advised and represented public-sector management clients in connection with employment-related issues such as discrimination, sexual harassment, and retaliation. In addition, Ms. Huntley litigated in federal and state court on issues related to municipal tort liability, civil rights, employment matters, and risk management. She also represented clients in administrative hearings and matters before enforcement agencies. During her time in private practice Ms. Huntley supervised junior attorneys and trained them to be litigators. She served and continues to serve as a mentor to law students and young lawyers. Ms. Huntley attended Pepperdine University School of Law in Malibu, California where she earned her law degree in 2004. She received a Bachelor of Science in Urban and Regional Studies with a concentration in Latin American Studies from Cornell University in Ithaca, New York in May 1998 and was a member of the Dean’s Honor List. Her involvement in community service while living in Ithaca earned her the Cornell Tradition Fellowship Award. Mily continues to contribute to the Cornell community by participating in the Cornell Alumni Admissions Ambassador Network and assist minority and first generation college students to attend Cornell University. Prior to attending law school, Mily was a bilingual elementary school teacher for the Los Angeles Unified School District as a member of Teach for America. (Ms. Huntley is fluent in Spanish.) During this time, she earned a California Teaching Credential which she keeps active. Ms. Huntley thoroughly enjoys spending her free time with her daughter and her extended family. She loves to travel and planning parties for family and friends.